This morning we were greeted with the news of a tragic fire that killed three Washington State Patrol employees in Zillah. 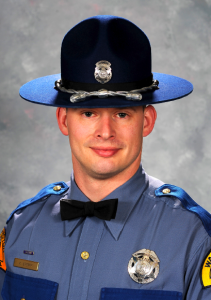 And it so happens that Trooper Kristopher Sperry, one of those killed, did some of his training in Bremerton. While all state patrol troopers go through the academy in Shelton, they do “field training” around the state. Along with Sperry, WSP Communications Officer Anne Miller-Hewitt and her husband, Trooper Gary Miller were killed as well. The investigation into the fire continues.